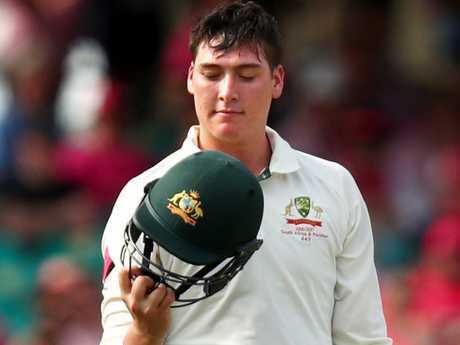 TEST opener Matt Renshaw faces an uncertain future in the Australian team after effectively being sacked and selected in the same conversation. Renshaw had every right to think he was right to go for the first Test against Pakistan after being cleared of concussion, but selectors decided he lacked match practice having been ruled out of two of the Australians' three pre-series warm-up matches with injury. But in the context of the long off-season Australia has endured since its last Test way back in early April, no batsman has performed as impressively as Renshaw. The 22-year-old had scored more first-class runs than anyone in the world after topping the Sheffield Shield scoring and then peeling off another three hundreds in English County Cricket for Somerset. In that context, dropping Renshaw is a significant decision and sends an intriguing message about how he is viewed. Although Tim Paine says Renshaw has been told he remains a key factor in Australia's plans for the summer and that this side in Dubai one picked for the conditions. 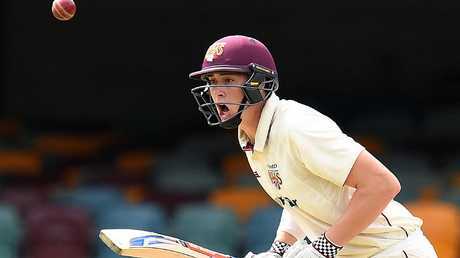 Matt Renshaw has been told he remains in the mix. He has a chance to fight back. However, it can't simply be a conditions-based decision. Renshaw bats as an opener, a position where stability is important. He is the best performed first-class player in a squad that's lost Steve Smith and David Warner. And Renshaw's first 10 Test matches for Australia showed real promise. There were some concerns about Renshaw's immaturity during his last stint in Test cricket - but he was a 20-year-old kid suddenly thrown into the big time. On Saturday, when he knew he had been dropped for Queensland teammate Marnus Labuschagne, Renshaw was put through a brutal training session in the blistering desert heat. Renshaw was run ragged with fielding drills and a long hit in the nets. 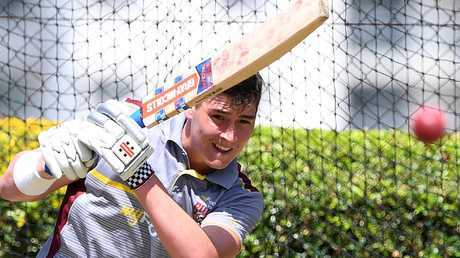 Matt Renshaw has been one of the form batsman in the world since being axed from the Australian Test team. Plenty could change between now and the first Test of the home summer in Adelaide, but Renshaw will be under pressure now to display the right attitude and not drop his bundle, despite his likely disappointment. The challenge facing Renshaw is a similar conundrum experienced by Usman Khawaja last year. Khawaja was sidelined from a tour of India, axed after just one Test in Bangladesh, but assured that his spot would be there for the first Test of the summer back home. When Khawaja publicly expressed his frustration with selectors, he caused a stir behind closed doors. At the moment it's difficult to see how anyone from outside the current XI could prevent Renshaw from opening against India at Adelaide Oval in early December. But there are no guarantees in cricket. 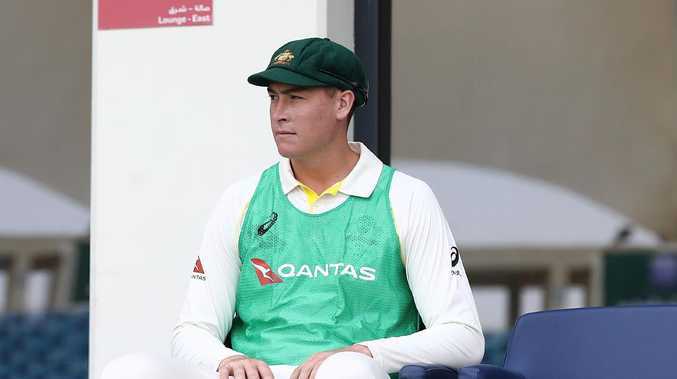 If Khawaja and Aaron Finch click as openers and Labuschagne delivers on debut, the music might stop with no chairs left for Renshaw. Cameron Bancroft will be back playing first-class cricket after Christmas and has the chance to build a case before next year's Ashes. Captain Tim Paine says Renshaw has been assured he hasn't been cast aside. "Absolutely, I think he was told that. As I've said, this is the team we've picked for these conditions," said Paine. "We think it's the best team to win this Test and in terms of going forward Matt Renshaw is still a huge part of plans for this team and we expect him to have a really big future."